User generated content is not new. On the contrary it is a trend in gaming that has fascinated gamers for more than a decade already, and the availability of level editors and other modding software has drawn more and more ‘casual’ people to start designing their own game content. Levels, designs, textures, items and even characters created by players are shareable for everyone to take advantage of. User created content not only increases the quality of gaming experiences by extending the replay value of a game, but it also gives players an outlet to be creative and to share their work with other players in the world. However this gaming scene has passed – with some exceptions - Japan completely. Only recently with the increase of social gaming players in Japan have more players gotten a taste of the fun potential of the “creation process” itself and are starting to enjoy designing their own game content with their own personality. Even if you don’t care very much for games you have very likely had some experience with “FarmVille”, a game that is placed in a new genre that grows in popularity at an astonishing rate: social games. Many gamers in this genre are playing a videogame for the first time! And with up to tens of millions of people playing daily, social games are good places to study human nature. So what is it that many of those games have in common and that attracts even grandmothers to play? If there's something that human beings like then it is building and creating. The great thing about FarmVille and other games in the same genre is the customization aspect. A FarmVille player is – besides harvesting crops – mostly building his farm, shaping it according to his imagination. People spend hours customizing their farm, and sharing it with others to receive recognition and feel proud for their creations. In this sense FarmVille is not very different from Minecraft, a game that is surely the incarnation of user created content and modding. Sure, Minecraft’s customization and building systems eclipse the ones in FarmVille much more in complexity but the principle is the same. This trend is not very different from what is happening in Japan; maybe only with the difference that customization in social games mostly takes place on mobile devices in Japan. I would even go so far to say that Japan is the cradle for personalization in social games. Japanese players always have loved to personalize their avatars as a way to express their status and to stick out from the masses as e.g. it is possible on Yahoo!’s platform Mobage. Meanwhile this market with players spending money on new content for their characters enables companies like Gree to make billions of dollars by simply selling fancy in-game clothes or pets. This love of customization held by gamers is not new but a major factor that attracts female gamers. However customization in the West goes much farther than in Japan. While players in Japan customize their characters by simply buying and attaching goods to their characters or cities, Western players take over the role of game designers. 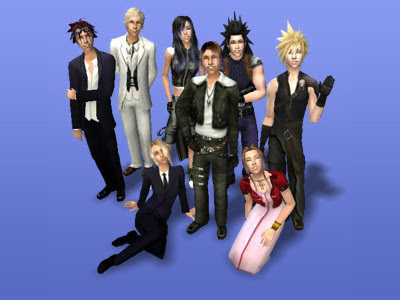 Take for example ‘Dragon Age’, or ‘The Sims’. There are huge communities of gamers - even female players- dedicated to offering downloads on self-designed custom armors, clothes, interior items, skins or any other in-game related content or offering resources to those seeking information on how to design and decorate their house or character in the respective game. Those player-made alterations and additions to pre-existing games are called modifications, or simply ‘Mods’. 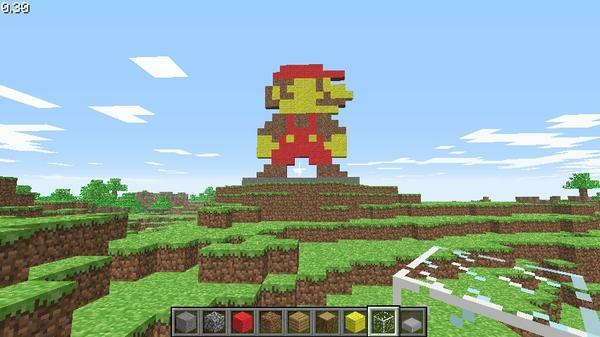 Mods are digital artifacts that avid gamers design by tinkering with their favorite games. The creators of those mods are called “modders” and often resemble small development teams. While a regular consumer is unlikely engaged in productive activities like modding, the practices of modders is close to the work of media professionals. Modders are the perfect target group for the gaming industry, since they form the contemporary overlap between media consumption and production. Mods express one’s identification with games but from a more professional point of view than other normal players. The actual modder perceives the game in a productive sense and is able to consider game conditions even the developer may not be able to implement. Developers in the West very much support mod making, which has been crucial in the rise of this modding phenomenon. However the gaming industry is also supporting it for self-protection, since mods and modders can be significant factors for the commercial success of a particular game. Particular popular mods can become objects of fan enthusiasm where players actively offer their ideas and even demand new features. This can even result in stand-alone games as the example of the popular World of Warcraft III mod Defense of the Ancients shows. Mods can take different forms of contribution, e.g. game mods that facilitate new forms of play, fix bugs and produce completely new audiovisual environments. All of these types of mods can serve both instrumental and expressive purposes for both the game’s community and the game’s actual design. Video games are ‘co-creative media’ in the way that they require both developer and player input. Modders often start with a simple game idea to enhance game play or to increase the quality of their beloved title. After years of ambitious modding the work can significantly influenced the perception and the image players attach to the game. Some of these modders will actually take it up as a profession and sometimes move on to be full-fledged independent developers. The biggest benefit for companies such as Blizzard or Bioware is that most modding is non-profit oriented. And as long the game industry is able to preserve a situation where modders are happy to work for free developers and publishers can clearly benefit from selling retail titles that include some sort of modding functionality. Modding – A way out from the crisis in Japan? With an eye on the Japanese market, I have to admit that most mods I have been talking about so far relate to PC gaming, and that in a country like Japan where console gaming still dominates the creation of user created content for console games in a semi-professional way is a bit of a hassle. However, with regards to the trend in social gaming, modding in a sense of content adjustment and customization for console games is not far from becoming a standard in game development. The challenge for developers in Japan lies in providing tools for modders to build their UGC and add a distribution channel to share the content. · Extend the life and drive sales numbers of existing games. · Boost creativity leading to completely new games and game styles. · Create new forms of virtual profitable businesses, for both developers and players. · Reduce the cost in-game content creation, and broaden the variety of dynamic and interesting content. · Help the gaming industry to recruit creative and talented personal. · Lead to cross media design and user generated merchandise. · Tap social forces and user-creativity to enrich play, encourage gamers to purchase the game and as a result reduce piracy. · Start free viral marketing of the game and for real-world businesses / products. · Create communities based around completely new gameplay types. · Fans can continue to keep game communities alive even after the developer abandons the title. Of course there are always cons as well. Many voices in Japan argue that modding and UGC is mainly questionable in terms of copyright issues, guarantees and customer support especially in the case that UGC can corrupt play data. This is indeed true and Western players commonly face problems where incompatible mods fail to install and just create frustration. It is even possible that their previous game data could be lost. However, the prospect of enjoying another interesting story inside their favorite game drives many players in the West to take that risk. Other industry professionals in Japan also state that modding systems in games would only appeal to a small group of consumers since programming skills would be required. This also is reasonable argument but there is no difference in the West. Of course not every video gamer is a programmer, but most modders consist of teams with different skills. Moreover every gamer has a certain idea how their game should look like, and the modding community very much proves that even if only a small group is involved into the actual design process, every player can bring in ideas and feedbacks. It is not always this difficult however and recently there has been a wealth of titles released which include easy to use modding tools built into the game engine. An example of such titles would include Little Big Planet, SpaceChem, and StarCraft 2. So the biggest problem I see is the level of involvement for both players and the gaming industry. It is about how the gaming industry and the players in Japan would accept moddable games and what kind of tools developers would support so that even newbies can create some sort of user generated content. However, like I stated earlier I feel that most gamers in Japan are not ready yet. It seems most of them simply play games for entertainment; they are ‘visitors’ rather than ‘architects’. So the real breakthrough may still take some time. Modders can be called the elite of user-content creators, while there is a division between mission makers, add-on makers and mod makers. Valve is currently working on the release of DOTA2 as a stand-alone title. This may be a false impression, but after attending another year at TGS and seeing the sort of games that are popular with most Japanese gamers, I cant stop believing so.